It wasn’t that many years ago that Ford released a Boss 302 version of the Mustang to all kinds of acclaim. Its 5.0-liter V8 made 444 hp, an increase of 32 horsepower over the regular Mustang GT, and its performance on the track earned it a reputation as the regular-man’s BMW M3. But now there’s a new kid on the block. The Shelby GT350 is nothing short of outstanding. Its V8 makes 525 hp, and it now rides on the independent rear suspension. We also had the Boss 302 on hand at PCOTY to get some impressions of them together, where we found a 302 to be squarely beaten by the GT350, even though the 302 still felt special. 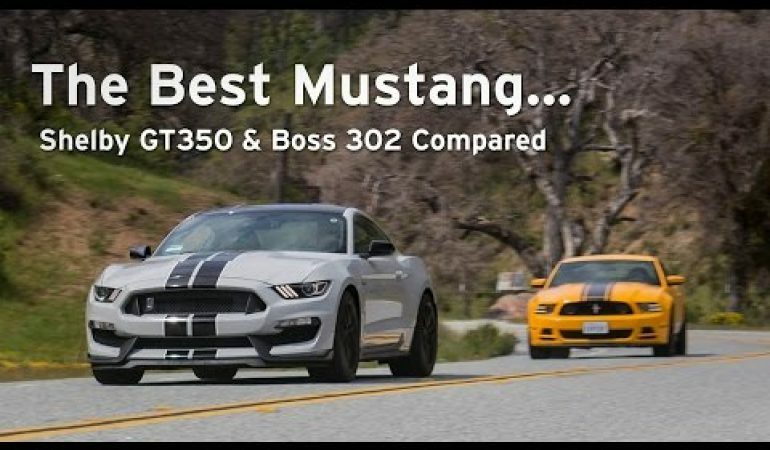 Well, the question is, how does the old Best Mustang Ever stand up against the new Best Mustang Ever in the extended test? Our friends at Everyday Driver took them both out for the drive to find out. So can a Boss 302 manage to hang with a Shelby GT350? The results may surprise you. 1650HP Twin Turbo Charged 1970 Dodge Charger AKA TANTRUM!